WrestleMania 35 is in the books and my last tweet said it all for me, “This years Mania was a whole lot better than last year.” Some matches didn’t last like I wanted them to, Joe-Mysterio I was looking forward to but it became a squash match and Joe won in minutes. The match was probably cut for time. 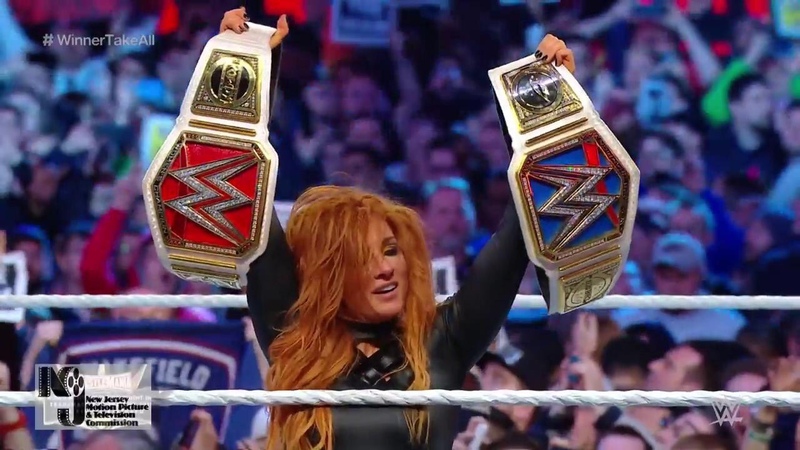 The main event was everything I was looking for between Lynch-Flair-Rousey. Sure the crucifix pin is questionable, guess I’ll have to wait until RAW or SmackDown to see what happens. Charlotte Flair told a great story during the match being the Queen and telling herself this is her WrestleMania. Rousey took some brutal bumps but she keep going doing her five moves of doom. 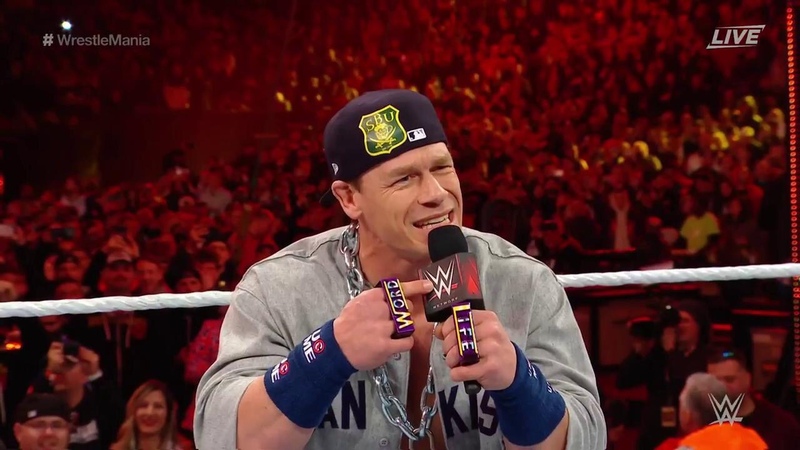 The Doctor of Thuganomics made his long awaited return and that to me stole the show up to that point. I knew someone was going to interrupt Elias but wasn’t expecting Cena. So… Ryder and Hawkins defeated the Revival… Woo! Woo! Woo! So happy for those two. Also, Tony Nese defeated Buddy Murphy to become the new WWE Cruiserweight Champion. AJ Styles and Randy Orton was my match of the night. I said this before and will say it again, AJ Styles hasn’t had a bad match since coming to the E. And he pulled a good match out of Orton. Shane McMahon and The Miz was an insane match. Triple H and Batista had one hell of a fight. I enjoyed it. Oh! 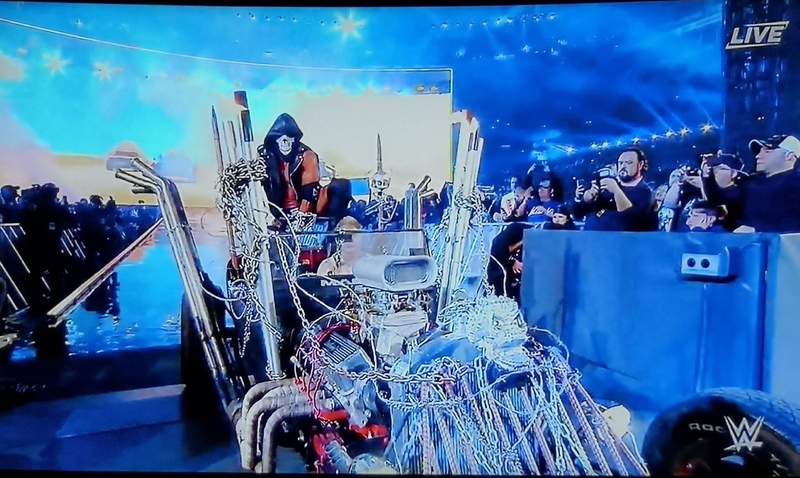 and the whole Fury Road entrance was the worst ever by Triple H. That CGI video package was bad. Yes, the Divas of Doom (Beth Phoenix & Natalya) didn’t win the WWE Women’s Tag Team Championships. I was really hoping they would because I’m a huge Beth Phoenix mark. But The IIconics won and I’m happy for them, they have been doing great work on the mic. Seth Rollins defeated Lesnar with three curb stomps and a low blow. The match was quick in and out. Seth got the job done. Kofi Kingston and Daniel Bryan had one hell of a match. 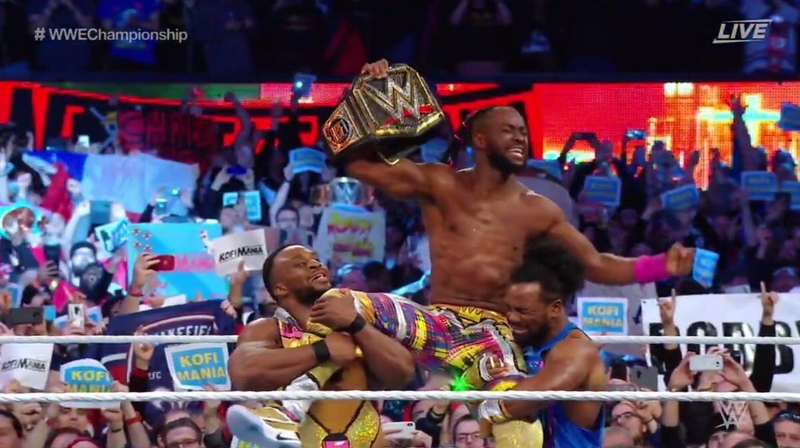 There was a few times I thought Bryan was going to win but Kofi did it and it was awesome! Kurt Angle lost to Baron Corbin. I knew Angle was going to do the right thing and let Corbin get the win. The match was just right for Angle. Carmella, and Braun Strowman won their battle royal matches. The Usos won and kept their SD Tag Team Championships… Drew McIntyre lost to Roman Reigns, McIntyre should’ve won. And Finn Bálor defeated Bobby Lashley to become the new IC Champ. This match was one side and the Demon looked great.